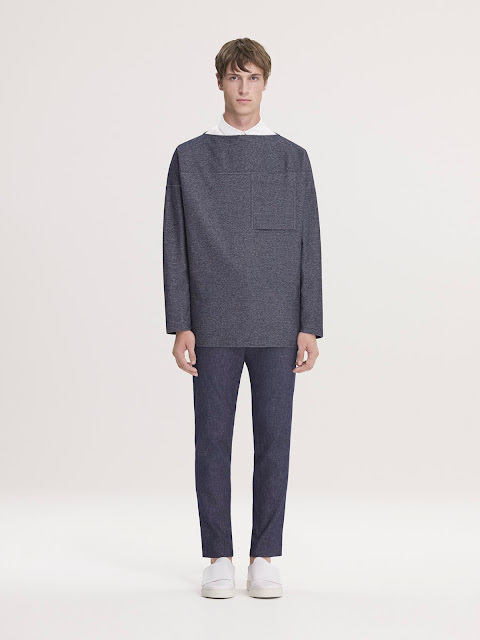 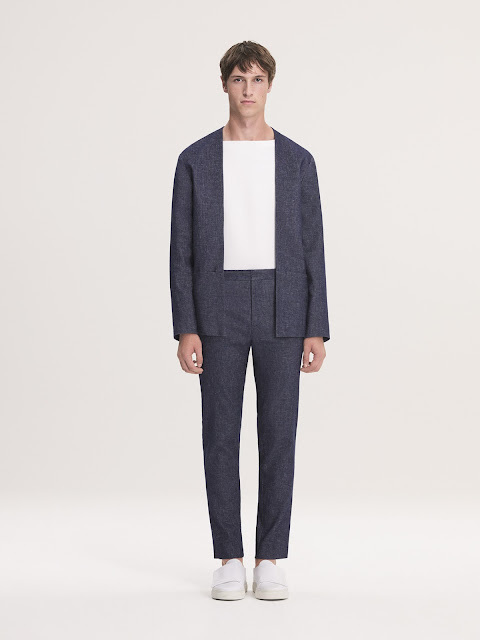 For men, tailoring is tweaked with unlined blazers in wool pique and for a new take on construction matching trousers are designed with legs cut from one piece of fabric. 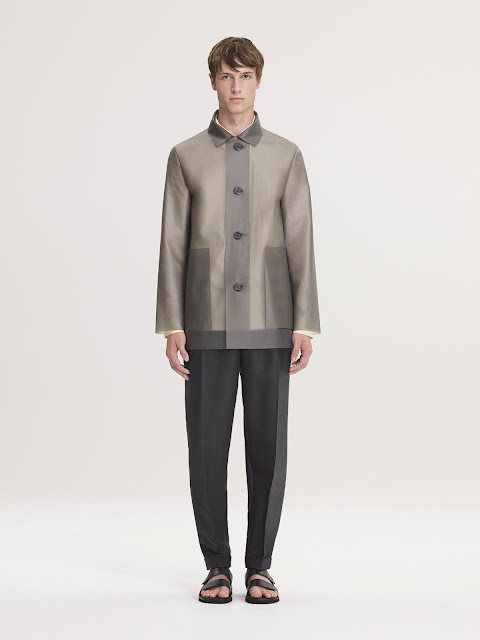 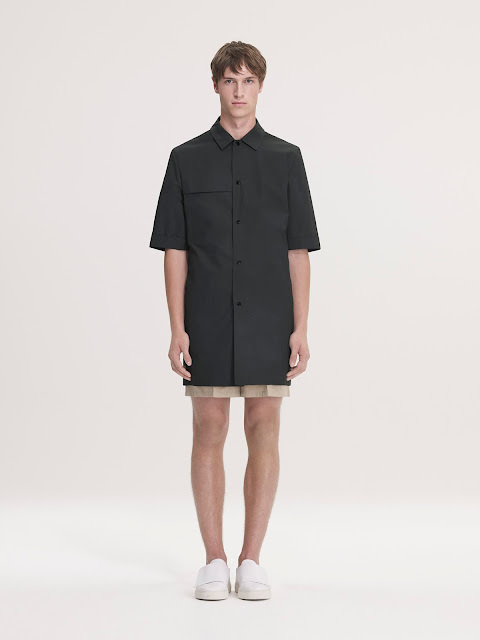 Car coats finishing at the hip cut a fresh silhouette and are seen either in compact cotton twill, or in smoked plastic with authentic welded seams. 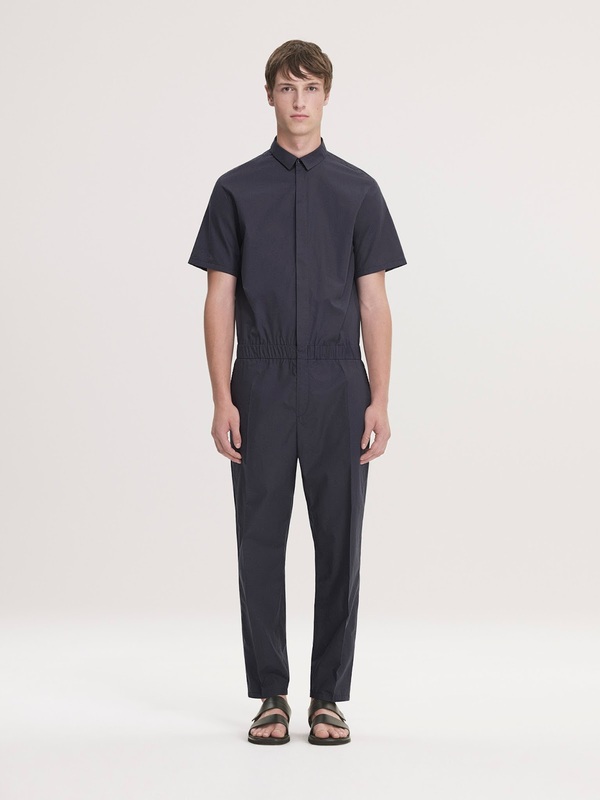 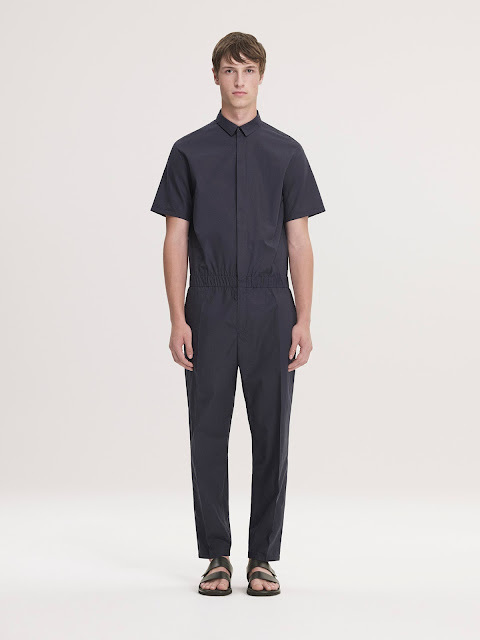 Functionality is found in a steel blue cotton poplin boilersuit, while denim is hero with a reduced denim blazer, or an oversized boat neck jersey in denim twill.